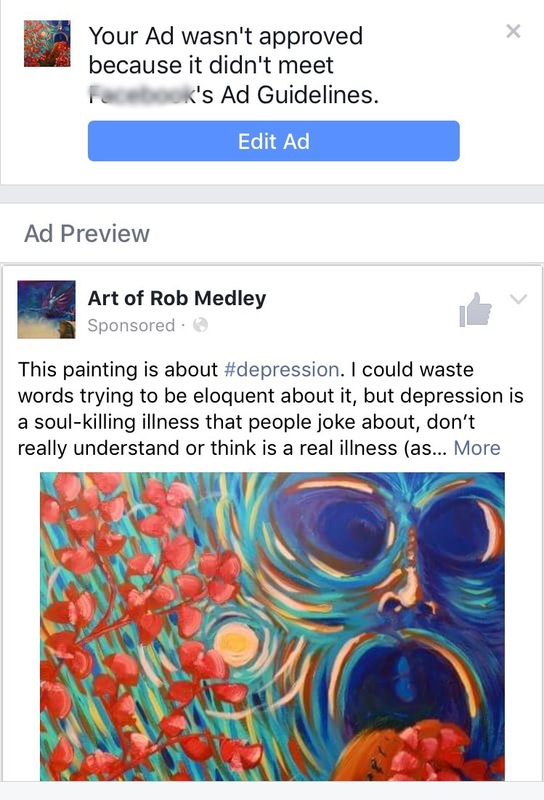 This painting is about #depression. I could waste words trying to be eloquent about it but depression is a soul-killing illness that people joke about but don’t really understand or think is a real illness (as recently observed at work). The flowering trees represent the beauty of the world, the ladies on promenade humanity, and the force in the background? Churchill’s ‘black dog’, that force which is the destroyer of worlds. I was inspired by Edvard Munch’s ‘The Scream,’ although I did not borrow from this great artist per se. What more is there? This is an #acrylic #painting on canvas. 18 x 24. Available. 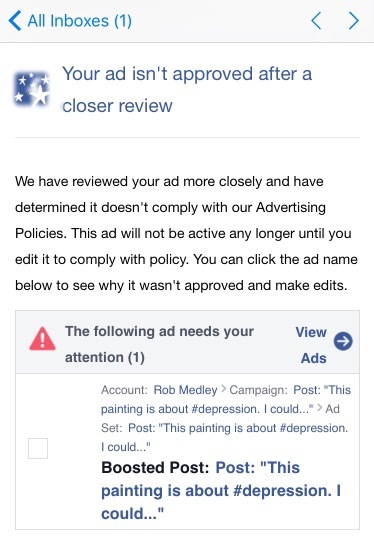 Postscript: Apparently a major social media company isn’t impressed with art or maybe is anti-depression. Regardless, my promotion was canceled. They (the company) would not say exactly why, save that it didn’t meet with their guidelines. This is the first post since I’ve been doing this that has been rejected. So if someone complained that it wasn’t happy enough, thank you! Depression is a serious topic. Maybe my art is nouveau-degenerate, but then again, art is supposed to make a statement. Here’s the cryptic messages they sent. This entry was posted in abstract art, Art, fantasy, local art, painting and tagged art, artist, canvas, color, depress, depression, fantasy, flowers, life, local, nature, paint, painting. Bookmark the permalink.